DK Mok is a fantasy and science fiction author whose novels include Squid's Grief, Hunt for Valamon and The Other Tree. DK has been shortlisted for six Aurealis Awards, three Ditmars, and a Washington Science Fiction Association Small Press Award. The Ditmar preliminary ballot has been announced, and DK's 'Junkyard Kraken' has been shortlisted for Best Short Story! 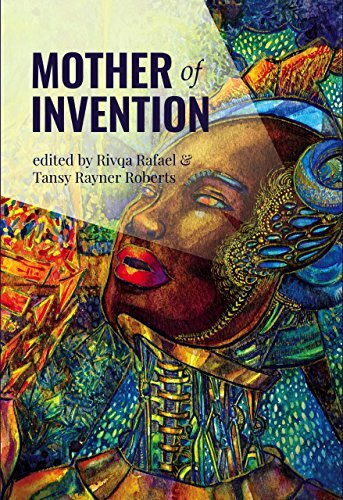 The story was first published in the anthology Mother of Invention, which is shortlisted for Best Collected Work. Congratulations to everyone on the ballot! DK's fantasy short story 'The Moon Collector' has been shortlisted for an Aurealis Award for Best Young Adult Short Story! Congratulations to all the finalists! Under the Full Moon's Light is out today! This anthology of 28 speculative fiction tales includes DK's fantasy short story 'The Moon Collector'. When the moon is mysteriously snatched from the sky, outcast warrior Ora must venture beyond the stars, to the realm of the forgotten gods, to retrieve her world's stolen moon. Happy release day to Mother of Invention! This thought-provoking anthology contains 21 diverse stories exploring themes of gender and artificial intelligence, and includes DK's short story 'Junkyard Kraken'. This anthology also includes the award-winning essay 'Reflecting on Indigenous Worlds, Indigenous Futurisms and Artificial Intelligence' by Ambelin Kwaymullina. 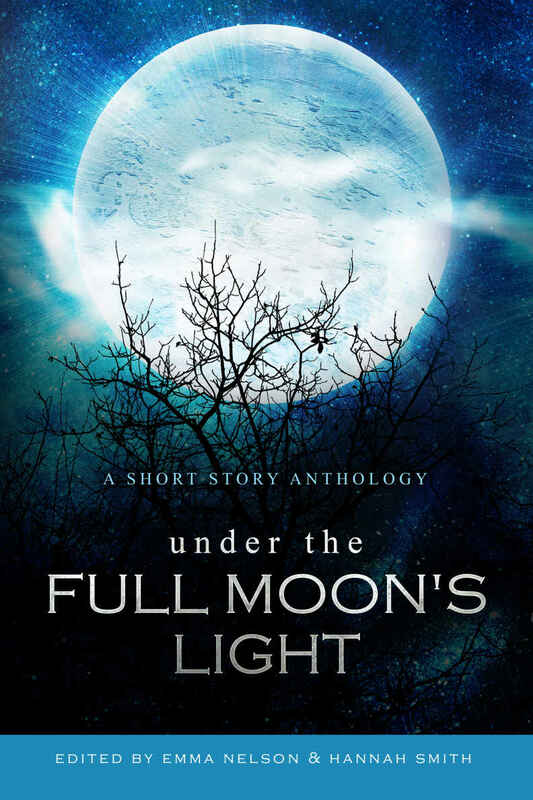 DK will have a new fantasy short story appearing in the upcoming anthology Under the Full Moon's Light from Owl Hollow Press. Themed around the spells and schemes that spark to life beneath a full moon, the anthology is scheduled for release on the 16 October 2018. Find the full list of authors here. The Kindle version of Mother of Invention is now available for pre-order! You can pre-order here, with other versions to follow shortly. ''The Spider and the Stars' received a wonderful review from SFF Reviews! "It stands apart from ordinary tales of space-faring through the inclusion of something that is lacking in so many speculative-fic hero-quest stories: Loving and supportive parents." DK was recently invited to write a guest post for World Weaver Press as part of the Glass and Gardens: Solarpunk Summers launch. DK's post, 'Stargazing Spiders and Cicada Wings: The Potential for Biomimetics', discusses our relationship with spiders and insects, and explores how entomology could reveal solutions to the medical, environmental and climate challenges we currently face. Read the full guest post here. Glass and Gardens: Solarpunk Summers received a great review on the latest episode of Book Riot! They discuss 'cosy sci-fi' and briefly refer to 'The Spider and the Stars'. It's release day for Glass and Gardens: Solarpunk Summers! This anthology of optimistic science fiction stories explores futures defined by sustainability and resilience. Out now in ebook and paperback. Glass and Gardens: Solarpunk Summers received a great review from Publishers Weekly, including a mention of 'The Spider and the Stars'! "The emphasis is on thoughtful, even radical solutions, such as in D.K. Mok’s delightful “The Spider and the Stars,” which traces the life and career of a young woman focused on applying entomology to space research." The 2018 Ditmar Award winners were recently announced at Swancon in Perth, and the award for Best Collection went to Ecopunk! Congratulations to all the finalists and winners! It's cover reveal day for Glass and Gardens: Solarpunk Summers! You can now pre-order the ebook and paperback at their special, discounted earlybird prices. The anthology will be released on June 5, 2018. In exciting news, DK's story 'The Wandering Library' has been shortlisted for an Aurealis Award for Best Science Fiction Novella! 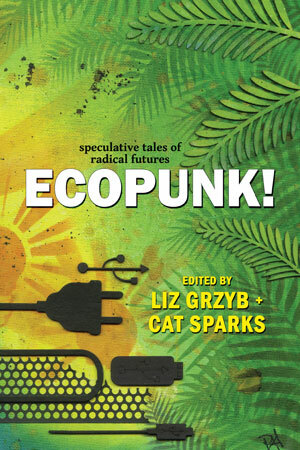 This story was first published in Ecopunk!, edited by Liz Grzyb and Cat Sparks (Ticonderoga Publications). Congratulations to all the finalists! An exciting update on Mother of Invention! The anthology will be released in September 2018, with two book launch events scheduled for earlier in the year. You can preview Mother of Invention at WisCon (Wisconsin, USA) in May, and at Continuum (Melbourne, Australia) in June. More updates to come over the next few months, so check back for more developments. 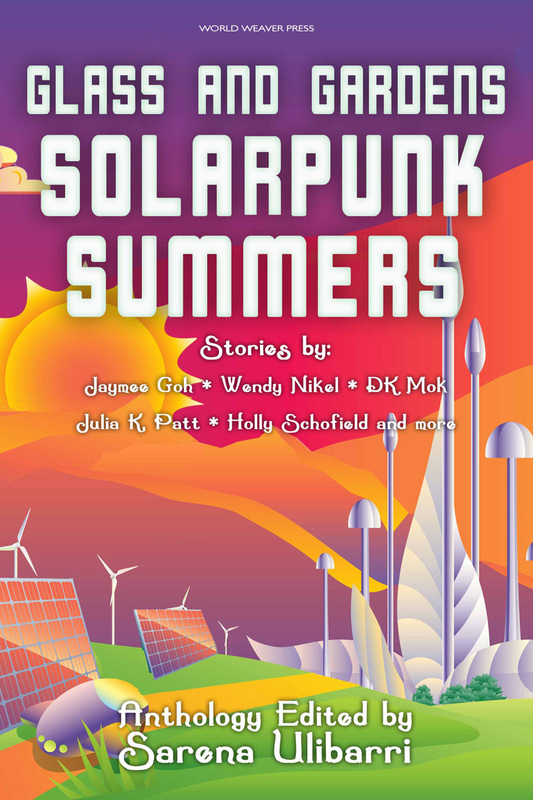 DK's new short story 'The Spider and the Stars' will be published in the anthology Glass and Gardens: Solarpunk Summers from World Weaver Press, edited by Sarena Ulibarri. This anthology contains 17 science fiction stories of optimism, ingenuity and adaptation, from guerilla artists to stargazing spiders. Glass and Gardens will be released in June 2018. See the full TOC announcement here. DK's new short story, 'Junkyard Kraken', will be published in the upcoming anthology Mother of Invention. Themed around gender and artificial intelligence, this anthology will feature stories from award-winning authors including Seanan McGuire, John Chu, Nisi Shawl, Jo Anderton, Kaaron Warren and Cat Sparks. Mother of Invention is scheduled for release by Twelfth Planet Press in mid-2018. Happy release day to Ecopunk! This anthology of optimistic tales of sustainable futures is out now in paperback and ebook. The Kindle version of Ecopunk! is now available for pre-order! The anthology's official release date is November 6, 2017. You can also buy the paperback, epub and mobi versions on Ticonderoga Publications' website. DK was recently interviewed as part of the Ecopunk! authors mini-interview series. DK talks about airships, activism, camel libraries, biblioburros and the inspiration behind 'The Wandering Library'. 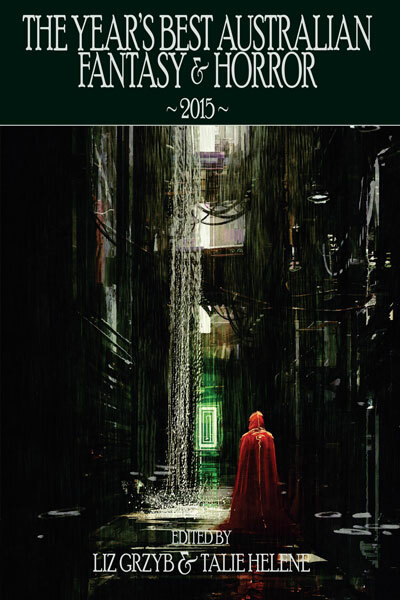 The Year's Best Australian Fantasy & Horror 2015 is now available in ebook format. This anthology of 31 acclaimed short stories includes DK's Aurealis Award-nominated story 'Almost Days'. Paperback and hard cover versions are also available. The cover of upcoming anthology Ecopunk! has been revealed! This anthology of optimistic tales set in radical futures includes DK's short story 'The Wandering Library'. Ecopunk! will be released by Ticonderoga Publications in October 2017. Find the full table of contents here. The Year's Best Australian Fantasy & Horror 2015 is out now in hardback and paperback! 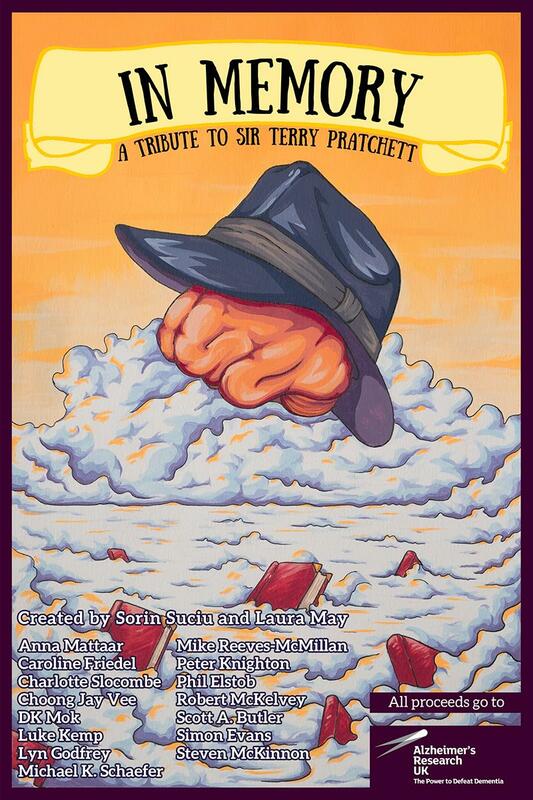 This volume contains 31 acclaimed short stories, including DK's Aurealis Award-nominated fantasy story 'Almost Days'. Available at Amazon and Indie Books Online. The 2017 Ditmar Awards preliminary ballot has been announced, and Squid's Grief has been shortlisted for Best Novel! See the full Ditmar ballot here. DK's new sci-fi short story, 'The Wandering Library', will be included in Ticonderoga Publications' upcoming Ecopunk anthology! Award-winning editors Liz Grzyb and Cat Sparks have selected 19 speculative tales of radical, optimistic futures showing a world transformed by climate change. 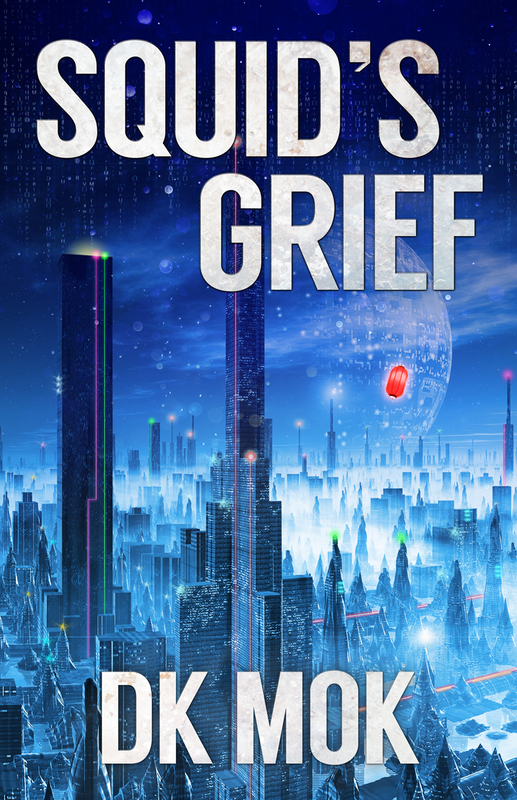 The Aurealis Awards finalists have been announced, and Squid's Grief has been shortlisted for Best Science Fiction Novel! DK's Aurealis Award-shortlisted story 'Almost Days' will be featured in Ticonderoga Publication's upcoming anthology, The Year's Best Australian Fantasy & Horror 2015! This volume will include stories by award-winning authors such as Garth Nix, Joanne Anderton, Angela Slatter and Cat Sparks. The anthology will be released in ebook, paperback and hardcover in April 2017. You can now pre-order the paperback and hardcover versions at Indie Books Online. Squid's Grief made it onto Liz Grzyb's Top Ten Reads of 2016! Liz Grzyb is a partner and editor at Ticonderoga Publications, the award-winning publishing house behind anthologies such as The Year's Best Australian Fantasy and Horror series, Bloodlines and Hear Me Roar. Find the full Top Ten list here.